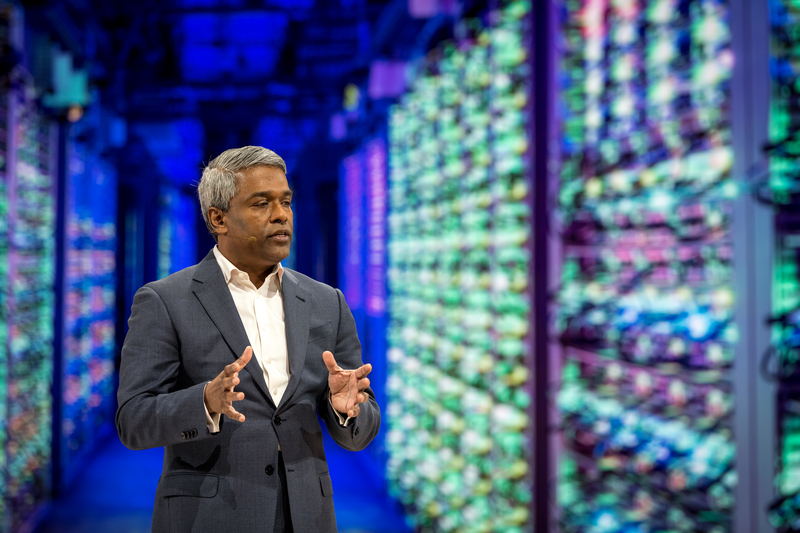 The first day of Next ‘19 kicked off with a bang—from a visit by Google CEO Sundar Pichai and an in-depth keynote hosted by new Google Cloud CEO Thomas Kurian to hundreds of breakout sessions that gave attendees the tools and knowledge they need to be successful in the cloud. We introduced Anthos—formerly Cloud Services Platform—to help customers by providing a unified programming model and monitoring/policy management framework across on-premises and multiple clouds, not just Google Cloud Platform (GCP). Cisco and VMware joined us on stage to talk about how we’re working together to make hybrid cloud a reality. Anthos is now generally available on Google Kubernetes Engine (GKE) and GKE On-Prem, so you can deploy, run and manage your applications on-premises or in the cloud. Coming soon, we’ll extend that flexibility to third-party clouds like AWS and Azure. And Anthos is launching with the support of more than 30 hardware, software and system integration partners so you can get up and running fast. With Anthos Migrate, powered by Velostrata’s migration technology, you can auto-migrate VMs from on-premises or other clouds directly into containers in GKE with minimal effort. Anthos Config Management lets you create multi-cluster policies out of the box that set and enforce role-based access controls, resource quotas, and namespaces—all from a single source of truth. Partners such as VMware, Dell EMC, HPE, Intel, and Lenovo have committed to delivering Anthos on their own hyperconverged infrastructure for their customers. By validating Anthos on their solution stacks, our mutual customers can choose hardware based on their storage, memory, and performance needs. From constrained runtime support to vendor lock-in, traditional serverless offerings often come with some significant challenges. As a result, developers often find themselves choosing between the ease and velocity of serverless or the flexibility and portability of containers. Today, we introduced Cloud Run, a new serverless compute platform for containerized apps with portability built-in, to give you the best of both worlds. Cloud Run, our fully managed serverless execution environment, offers serverless agility for containerized apps. Cloud Run on GKE brings the serverless developer experience and workload portability to your GKE cluster. Knative, the open API and runtime environment, brings a serverless developer experience and workload portability to your existing Kubernetes cluster anywhere. We’re also making new investments in our Cloud Functions and App Engine platforms with new second generation runtimes, a new open-sourced Functions Framework, and additional core capabilities, including connectivity to private GCP resources. Google Cloud is deeply committed to open source—and we know so many organizations would benefit from fully managed services that let you get the best of open-source innovation and operate those technologies at scale. To help, Thomas announced our strategic partnerships with leaders in the open source community to deliver the industry’s first comprehensive platform for fully managed open source-centric database and analytics services. Our strategic partnerships with Confluent, MongoDB, Elastic, Neo4j, Redis Labs, InfluxData, and Datastax tightly integrate their open source-centric technologies into GCP, providing a seamless user experience across management, billing and support. “Monetizing open source was always a very big challenge for open source vendors and more so in the cloud era. Google has taken a very different approach from other cloud vendors when it comes to open source, and I think this is great news for the open source community." —Ofer Bengal, CEO, Redis Labs. 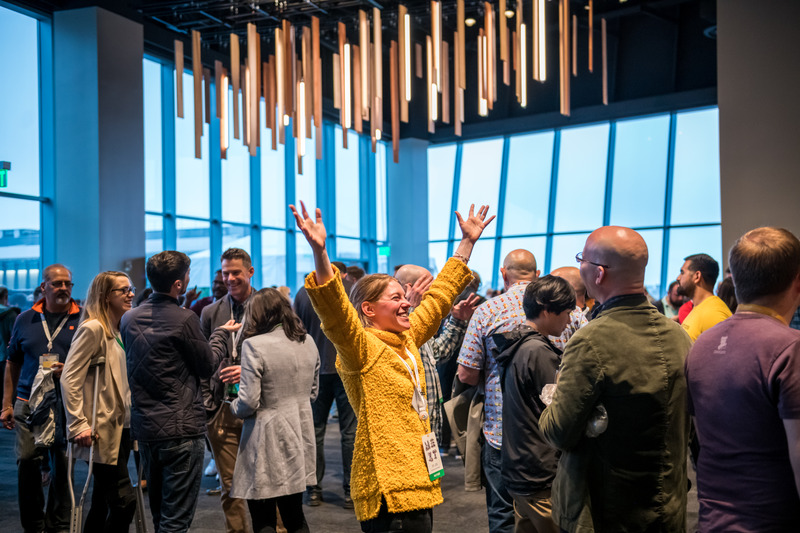 With the day one keynote done, we kicked off more than 500 breakout sessions, cloud talks, and hands-on labs on topics ranging from API management for serverless and multi-cloud and undoing human bias at scale with Kubeflow to a talk on inclusion with actress and equal rights advocate Laverne Cox. Keep an eye on our Google Cloud, GCP, and G Suite YouTube channels for the latest session uploads—we’ll be adding them as fast as we can. Looking forward to a fantastic day two!